InSinkErator is one of the pioneers in designing and manufacturing food waste disposers and instant hot water dispensers, for home and commercial use. The company was founded in 1927, when the world's first food waste disposer was built, in Racine, Wisconsin, where the company headquarters is today. The great thing when you buy an InSinkErator hot water dispenser is that it produces hot and warm water instantly for your convenience. It usually comes as the all-in-one system and can be installed easily in the existing or new kitchen, and used for many applications; from comfortable hand washing to preparing the food and cleaning dishes. InSinkErator uses a small tank and filtration system installed under the sink to heat and filter domestic water. Another great benefit of having the InSinkErator instant hot water dispenser is the availability of fresh and clean hot water for use at any time. 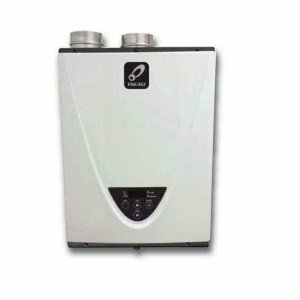 Mounted at the point-of-use service, a dispenser saves you energy and water, especially for small jobs, so large 40 and 50-gallon heater or tankless unit, which supplies the whole house, doesn't have to run when the small amount of water is needed. An InSinkErator hot water dispenser is available in different styles and finishes with the low and high arching spouts, swivel and non-swivel, and with one, two-lever and twist handles. Some of the InSinkErator models (i.e., Involve H-Wave), dispenses hot water only, while others are designed to dispense both cold and hot water (i.e., Involve HC-Wave). InSinkErator water dispensers are able to produce temperatures near boiling - 200 F, except models from UltraSystem series. Models UW and UWL from UltraSystem series blend 200 F water from the tank and cold from supply to provide 110 F, which is great for hand washing, shaving, and general clean-up. InSinkErator water dispensers from the Indulge series are offered as the dispensers only, where the tank is sold separately. This series comes with the 5-year warranty and is built for users who are looking for either modern or classic design. 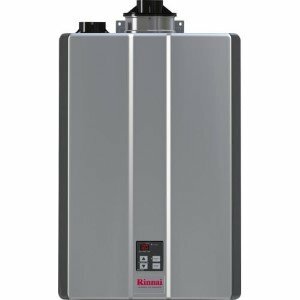 Involve series offer systems that are consisted mainly of contemporarily designed dispensers and stainless steel tanks with the InSinkErator F-201 filtration system. Involve series is backed by the three-year warranty. Available accessories recommended for InSinkErator instant hot water dispenser includes the tank and a filter. InSinkErator uses tanks that deliver on-demand flow and are compatible with all dispensers made by this company. Tanks are made from stainless steel for longer life and have tool-less connectors and dry start protection for safety. At the front of the tank, there is a temperature dial which allows you to adjust the temperature that suits your needs the best. Maximum temperature it can provide is 200 F. With the capacity of 2/3 of a gallon, the tank provides a maximum of 60 cups per hour. Model Hot1 is the only model that can use a smaller tank, it has capacity 1/3 of a gallon and provides a maximum of 40 cups per hour. If you don't have a filtration system, it is recommended to get a filter F-201 that is compatible with any InSinkErator hot water dispenser. These filters are designed to reduce chlorine taste and odor, lead, mercury, and other chemicals, and they can be used with ice makers and refrigerators. In searching for the most selling and reviewed hot water dispensers from InSinkErator I have used specialized plumbing stores, such as faucetdirect.com and Amazon.com. InSinkErator hot water dispenser H770-SS is the entry level dispensing system. Known as the original dispenser it has an easy-to-twist handle to dispense hot water only, which can reach the maximum temperature of 200 F.
Invite H770-SS sells for approximately $200 and comes with the tank and three-year warranty. Users like this model as the reliable and convenient device to provide hot water for tea, coffee, hot chocolate, even preparing lunch or cleaning dishes. Installation is easy, and it requires less than an hour for a replacement. Negative reviews are related to the quality of the unit, electrical issues, unpractical twist top, leaking tank and that the faucet is not serviceable. InSinkErator H-WaveSN-SS comes from the Involve series that features the sleek and modern faucet design. This model is very simple but beautiful that gives elegance to your kitchen. Its body is made of the metal, so as the lever, making it strong and durable. It uses the same tank capacity as the previous model which provides 60 cups of water, per hour and the flow is good. You can buy InSinkErator H-WaveSN-SS in Chrome, and Satin Nickel finishes for the price $280 and up. Reviews for InSinkErator hot water dispenser are mixed, from the positive to negative ones. One is common, it is used every day for making your morning coffee or tea, to quick lunch and convenient cleaning the dishes. 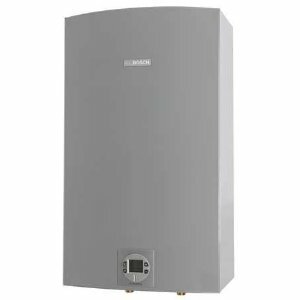 It saves the energy by not using the big tank-type or tankless heaters while it delivers hot water on demand. InSinkErator hot water dispenser is the reliable and long-lasting dispenser, and that is why this is one of the favorite brands not only for plumbers and contractors but homeowners. An InSinkErator dispenser works instantly; no more long pipes, so it saves you time, money and effort, and with a variety of models to choose from, gives the elegance to your kitchen for numerous applications. You can buy an InSinkErator unit online, from plumbers/dealers, big chain stores such as Lowe's, Home Depot and specialized plumbing stores.